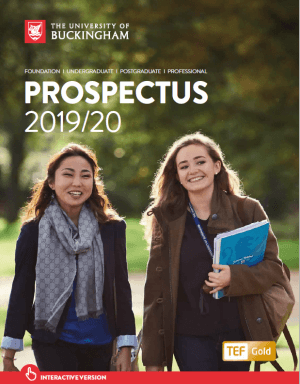 The University of Buckingham has re-entered The Times league table this year and been placed at Number 21 out of 116 because of its stellar performance in student satisfaction, staff / student ratio and graduate prospects. The only independent, non-profit university in Britain, Buckingham emphasises the personal approach that comes from having fewer than 10 students to each member of staff. 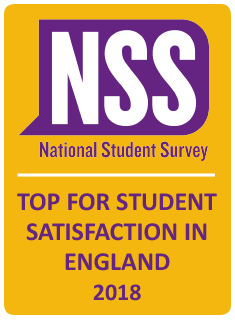 Its students are the most satisfied in the country. Its independent status means that Buckingham is excluded from the Research Assessment Exercise but The Times Good University Guide says that “it would almost certainly have finished in the top 20, rather than just outside it, if its research could be assessed”. *These figures are in current money. Fees and loans will be adjusted each year for inflation. The net cost of a University of Buckingham degree will fall for home students starting after September 2012. Any such student will qualify for a government student loan of £6,000pa. They can also claim maintenance loans and, indeed, maintenance grants where family income is below £42,600. In addition, any such student who can show that they are receipt of a maintenance grant (full or partial) will receive an automatic Buckingham Bursary of £1,000 p.a.